The dash-mounted camera technology helps with driver compliance and coaching by providing evidence of hard potential risk factors in driver behavior. J.J. Keller & Associates, Inc. (Neenah, Wis.) has added video event hardware and management tools to its line of safety and compliance solutions. 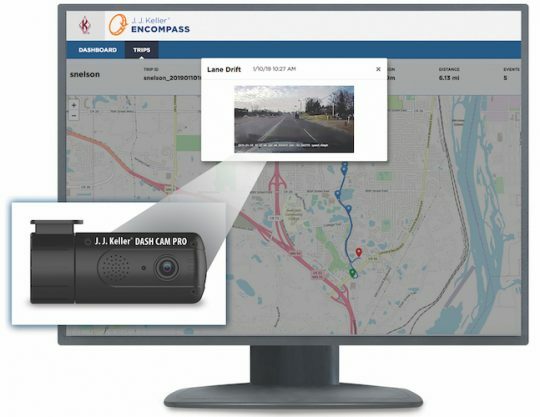 The firm will introduce the J.J. Keller Encompass Video Event Management solution and Dash Cam Pro in early April 2019, offering an additional way for fleets of all sizes to manage risk, identify problematic driver behavior, and provide remedial coaching and training. 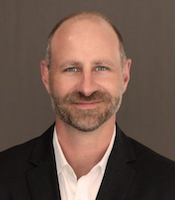 Rustin Keller, President and CEO, J.J. Keller. The new dash-mounted camera technology reads traffic signs and records driving footage, according to J.J. Keller. Data captured by the system can help with driver compliance and coaching by providing evidence of hard acceleration, hard braking, cornering, lane drifting, following too close, rolling stops, and other potential risk factors. Footage is available for review through a back-office dashboard featuring detailed driver and event reporting, data trends, and mapping to pinpoint where specific events took place. “Combining video intelligence with J.J. Keller’s proven Encompass driver compliance dashboard delivers a unique scope of guidance particularly beneficial to fleets,” says a statement announcing the new capabilities. Studies conducted by the Virginia Tech Transportation Institute (VTTI; Blacksburg, Va.) found that an event-based video system, combined with a driver behavior modification system, accounted for estimated reductions in fatal and injury crashes of 20 percent and 35 percent respectively. Similarly, the National Transportation Safety Board (NTSB; Washington, D.C.) concluded that onboard video systems provide valuable information for evaluating the circumstances leading to a crash, as well as critical data for assessing survivability.